Hold onto your hearts, Alice at Bethel has paperwork! 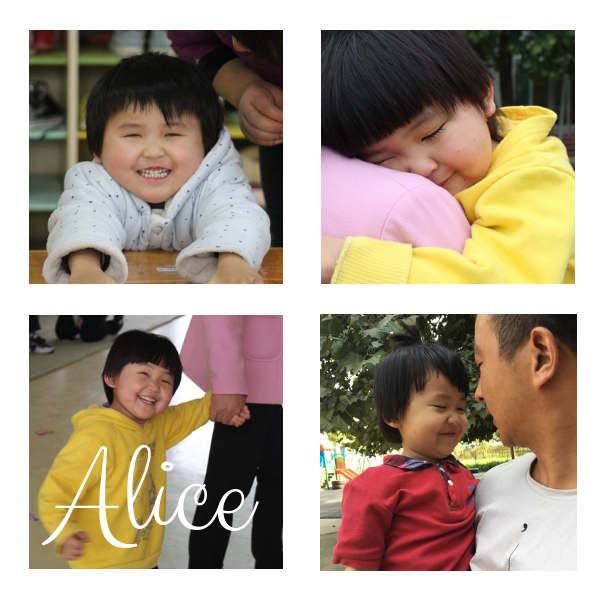 Alice is a sweet 3 year old girl who lost her eyes to Retinoblastoma. She has been in remission since her operation and has prosthetic eyes. She has such bubbly personality and is very attached to her caregivers. She speaks when she wants to and knows how to sign a few key words such as “eat”. She’s a little afraid of walking on her own, but her teachers have been encouraging her to become more independent. She has the biggest smile on her face when playing outside with her caregivers and when she sings. We’re so excited to soon see Alice with her forever family!